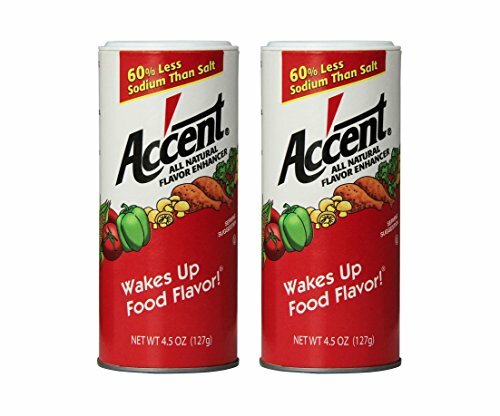 Accent Flavor Enhancer food seasoning has no artificial flavors. We are all about providing easy cooking solutions and helping you wake up the flavors of your food. Accent adds depth to food flavor. It's been a "secret ingredient" of many chefs for years. Accent has 60% less sodium than salt (salt contains 194mg sodium per 0.5g) and is a terrific salt alternative for people watching their sodium intake. OU Kosher. Pack of 2. If you have any questions about this product by Accent, contact us by completing and submitting the form below. If you are looking for a specif part number, please include it with your message.